If memory serves me right, I am pretty certain that Modern Times was the first Chaplin feature I saw; I was probably about six or seven years old at the time. It still holds a close place in my heart as my second favorite feature of Chaplin’s, partially perhaps to sentimentality, but in either case this is still an amazing film. Modern Times is a narrative that focuses on some of the comedic elements of the times in the 1930s with the influx of industrialization and the Great Depression in full stride. Chaplin appears as the Little Tramp in the beginning, working in a factory line. Due to the stress and monotony of the job, he has a mental breakdown and is, subsequently, fired and sent to a hospital. He is eventually released, but they insist he avoid excitement. Upon release, a socialist march is at hand and someone drops a flag; ever the helper, the Little Tramp picks it up and runs after him. With flag waving in hand, he is mistaken as the leader of the riot and thrown in jail. He finds the contentment of jail comforting, but just as he is settling in, he is released on pardon. Following a job at the shipyard in which he is fired, he meets a Gamine (Paulette Goddard) and her two sisters, who are stealing food to survive. When a cop comes to arrest the Gamine, the Little Tramp tries to take the blame to no avail. He then goes to a cafeteria, orders a lot of food and insists he has no money. On the way to jail, the Gamine catches up with him and they escape, becoming close companions. They settle into a small shack and the Tramp gets a job at a department store as a nightwatchman. When burglars come on his first night, he gets caught up with the police and again hauled to jail. Will he be able to catch up with his love again and find a decent, rewarding life, or will he have to settle on the contentment of his jail cell? Following City Lights, Chaplin embarked on an 18 month world tour, leaving behind life in Hollywood for relaxation and travel. Upon return, he met the beautiful, young Paulette Goddard and struck up a close relationship with her, eventually making her his third wife in 1936 in a secret ceremony. In addition to her being cast as the Gamine in this film, she would also appear as the lead actress in his next feature, The Great Dictator. Sound, by this time, was definitely in full force in the motion picture industry. Hardly any filmmaker was still making silent pictures. 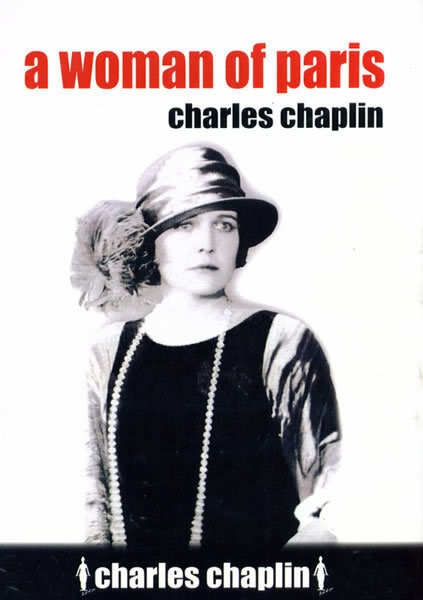 Because of this, Chaplin originally devised Modern Times to be a talkie, and even went so far as to write a script and shoot some test sequences. However, in the end, the film was produced as a silent, but made use of sound effects, score and one talking scene in the beginning from the factory boss. Like City Lights, Modern Times had an extensive shooting schedule that lasted over the course of a year from late 1934 to late 1935. 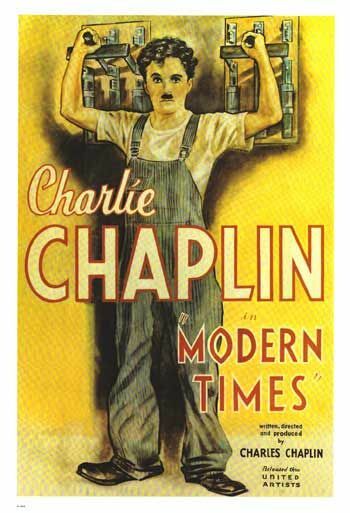 Upon release, Modern Times was another success for Chaplin, despite the fact that it was a silent film in a sound world. To this day, the film is still celebrated as one of Chaplin’s biggest achievements and is the third and final film of Chaplin’s that appears on the AFI’s Top 100 Movies of All-Time List at number 77 (the other two being The Gold Rush and City Lights). Chaplin, who himself at this time a multi-millionaire, but who came from an impoverished background, was very occupied with the problems of the social and economic background in the world during the 1930s. Modern Times was his way of coming to terms with the situation from a comedic point and exemplifying some of the atrocities of the modern world tongue firmly in cheek. As a final note, this was the last time that Chaplin’s iconic Little Tramp appeared on screen, ending the cinematic presence of one of the most recognizable characters ever created.